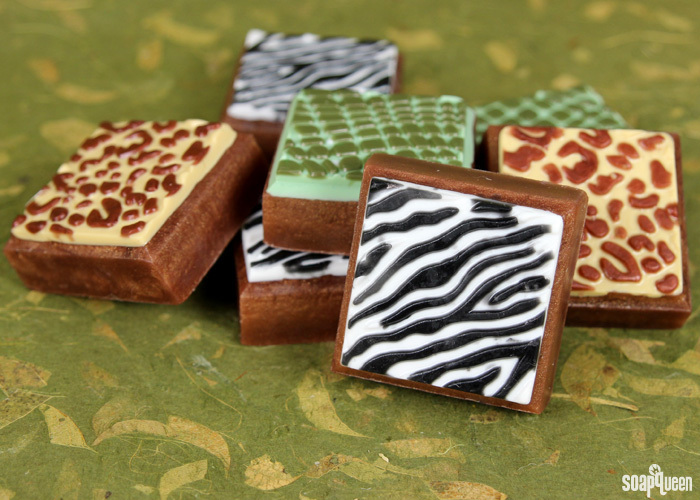 Zebras, alligators and leopards…oh my! This melt and pour project is straight from an African safari. 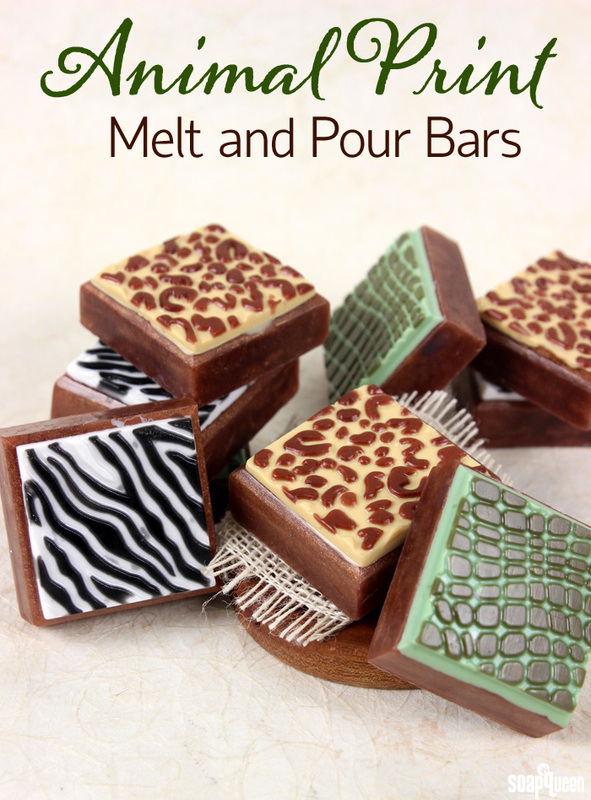 Made with the Animal Print Tray Mold, this project creates nine bars of soap with three different animal prints. Each print is filled in with various colors using a dropper for precise color placement. Scented with Sandalwood Vanilla Fragrance Oil, these bars smell warm, creamy and woodsy. For this project, having a spray bottle of 99% isopropyl alcohol is a must. Rubbing alcohol helps layers of melt and pour stick together. The alcohol also helps disperse any bubbles that can occur after pouring. I recommend putting it into a spray bottle to make spraying easy. 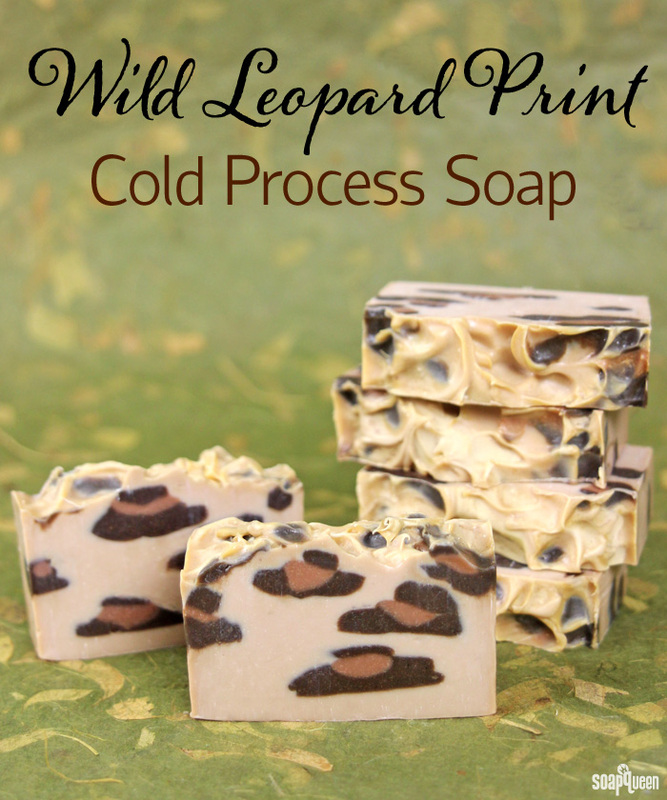 This Wild Leopard Print Cold Process soap was inspired by the beautiful coats of African leopards. This artistic soapy effect requires a thick trace to create the spots inside. Soap is placed in frosting bags and layered on top of each other. Once cut, realistic-looking animal spots are revealed! You can see another example of this technique with fun, bright colors in this Leopard Spots tutorial. 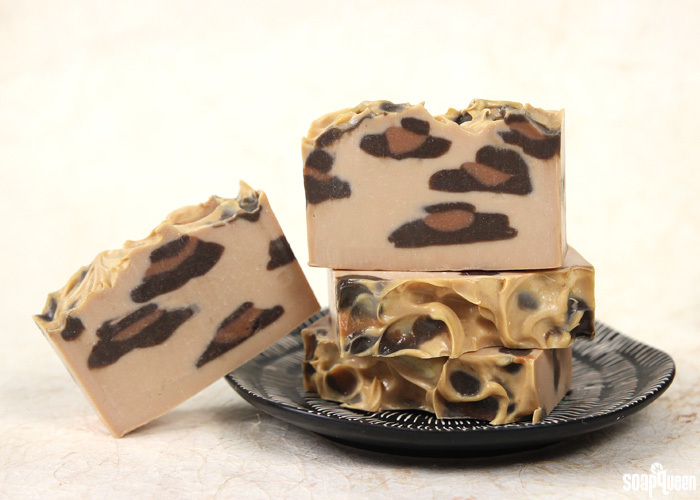 This soap is scented with a warm and smoky blend of Mayan Gold and Black Tea Fragrance Oils. A small amount of Cinnamon Leaf Essential Oil adds spice, and helps create a thick trace, as it accelerates. This soap is made with a great blend of oils and butters, including cocoa butter and tamanu oil. The tamanu oil gives this soap batter a bright yellow color, which works great for this color palette. Click here to learn more about tamanu oil.